Skilled care – this includes medically necessary services part-time or intermittent services provided by a visiting nurse, and/or physical therapy, speech-language pathology services, or continued occupational services. Custodial care- this includes personal care services that a person not medically skilled can render safely and reasonably or that help you mainly with daily living activities. Examples would be bathing, meal preparation, exercising, and dressing. WHEN ARE YOU LIKELY TO NEED IT? 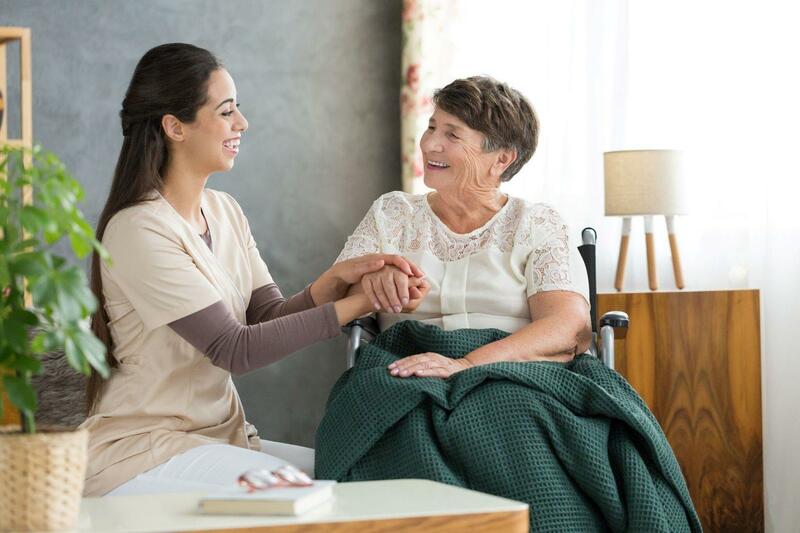 Although most people look forward to being discharged from the hospital or rehabilitation center as soon as possible, if there is no one at home who can help you, the services of a home health aide may be indispensable. In addition to needing help with bathing, dressing, and eating, you may require assistance getting in or out of a bed or chair, moving around, and using the bathroom. Health-related care that most people do themselves, e.g. using eye drops, may not be possible without assistance. If you are discharged home and you will be receiving part-time intermittent skilled medical services, you may be able to use your home health benefits under Medicare Parts A and/or B or your FEHB plan to pay for home health aide services. A doctor must order your care, and a Medicare-certified home health agency must provide it. Homecare primarily for personal assistance that does not include a medical component and is not diagnostic, therapeutic, or rehabilitative will not be covered by your insurance. In general, Medicare and FEHB plans offer very limited benefits to pay for the services of a home health aide providing personal or custodial care. Hourly: Caregivers come for a set amount of hours based on the client’s needs and wants. In the DC metro area, the minimum is usually 4 hours and the average cost is $23- $26 per hour plus mileage reimbursement. A caregiver hired overnight must remain awake and alert. Live-in: A caregiver lives with a client. Caregivers need their own room to sleep and ability to take breaks. The caregiver is allowed to sleep overnight. The average cost in the DC metro area is $200 per day in addition to the client’s responsibility to provide food for the caregiver. Flat-fee Transitional: Some homecare agencies are offering short-term transitional home care during the first 24-48 hours after discharge from the hospital/rehabilitation center. Various service packages are offered for a flat-fee depending on the number of hours. Georgetown Home Care-Welcome Home: www.georgetownhomecare.com; 202-333-2400 (DC), 301-96802457 (MD), 571-765-6046 (VA). Assisting Hands Short Term Care: https://www.assistinghands.com, 301-363-2580 (MD). Corewood Care-Hospital to Home: https://www.corewoodcare.com/care-services/hospital-to-home-transition-care, 301-909-8117 (MD). Information about homecare agencies nationwide is available through the National Association of Area Agencies on Aging (www.n4a.org) or the Eldercare Locator (1-800-677-1116). So you are having a bad day. Your boss is driving you crazy, your co-workers aren't cooperative, and you simply hate life at post. Why shouldn't you retire right now? Before you pull the plug, you may want to learn more about how early retirement could affect your long-term income and benefits. Yes, you may be eligible for a Foreign Service annuity, but would it be reduced if you retire before you have twenty years of service? Will you have enough income until you become eligible for Social Security at age 62? Have you been enrolled long enough to continue in the Federal Employees Health Benefits program? What life insurance coverage do you have? What about the effects of changes in your circumstances due to death or divorce? Please note that the information contained on this page is meant to serve only as a resource. Federal law and guidelines may change. Please check with the Bureau of Human Resources and Office of Retirement for the most up-to-date information. When can I retire ? It's complicated. For starters, do you know whether you are covered by the "old system," the Foreign Service Retirement and Disability System (FSRDS), which applies to people hired prior to 1984, or the "new system," the Foreign Service Pension System (FSPS)? It can make a big difference. If you look at a recent personnel action in your eOPF you can identify your retirement system. To decipher the code, see AskRNet. For detailed information on Foreign Service retirement planning, you should start with https://www.rnet.state.gov/, the website of the Department of State Office of Retirement. If you still have questions after browsing the answers to frequently asked questions in AskRNet, you can send them to the Human Resources Service center at hrsc@state.gov. If you are still employed you can find lots of information using the Employee Benefits Information System (EBIS) available on the Department of State intranet site. (Civil Service employees can find detailed planning information on http://www.opm.gov/ ) Even better, take one of the retirement planning seminars offered by the FSI Career Transition Center. The important thing to remember is that you must meet both the age and length of service requirements applicable in your retirement system. You may be pretty sure about your age, but it is harder to compute your correct length of service. You may have prior service or breaks in service that must be accounted for. The Office of Retirement will verify your eligibility for an annuity before you apply for retirement. Meanwhile, you can send questions about your individual situation to RETServices@state.gov. How much will my annuity be? What about cost of living adjustments ? If you are currently employed by the Department of State, you can estimate your annuity using the Employee Benefits Information System (EBIS). It is under HR Online on the Department's intranet site. Click on EBIS under Employee Self Services. If you don't have access to EBIS, you can do a rough estimate of your annuity by multiplying a factor times the number of years you have worked times your high-three average salary. Look for instructions under Comprehensive Retirement Information on https://rnet.state.gov . Check the FAQs under annuity computation in AskRNet. But be careful. Your service computation date may only apply to the rate at which you can accrue annual leave. It may not apply to computing your length of service for retirement purposes. Factors such as military service prior to joining the Foreign Service or breaks in service when you were on leave without pay can affect your length of service and the amount of your annuity. You may have to pay a deposit to credit your additional service. Don't wait until you are ready to retire to find out. When you choose your retirement date be sure you understand the effect on computation of your annuity, on eligibility for the Foreign Service Pension System annuity supplement, and on future cost of living adjustments (COLAs). Send general questions to hrsc@state.gov and individual questions to RETServices@state.gov. It may not sound like a lot but these adjustments really add up as the cost of living increases over time. In 2018 the cost of living adjustment, or COLA, was 2.0 percent. The Office of Retirement will send you an Annual Annuitant Newsletter with information on the COLA every year in November. The most recent newsletter is posted on https://rnet.state.gov/ under What's New? If you have questions about application of the cost of living adjustment to your annuity contact the Retirement Accounts Division at payhelp@state.gov. There are proposals under consideration in Congress to change the basis on which the COLA is computed. This would affect adjustments in Social Security benefits as well as Foreign Service annuities. See the Retiree Newsletters from the American Foreign Service Association on http://www.afsa.org/ for details on how the chained CPI (Consumer Price Index) cost of living adjustment is computed. 3. How much can I contribute and when can I start withdrawing from my Thrift Saving Program (TSP) ? The Thrift Savings Program (TSP) (http://www.tsp.gov/) is especially important if you are covered by Foreign Service Pension System (FSPS). When you are first employed, your agency automatically starts contributing one percent of your salary to TSP on your behalf. FSPS employees can get up to a five percent matching contribution from the government for their individual contributions. In 2014 the maximum amount you can contribute to TSP was $17,500 unless you were over the age of 50. In that case, you could contribute an additional $5,500 (for a total of $23,000). You can exclude contributions to a traditional TSP account from taxation until you start making withdrawals in retirement. If you contribute to a Roth TSP account, the contribution will be taxable, but withdrawals after you retire will be tax-free. See http://www.tsp.gov/ for details on taxation. Whether you get the matching contribution or not, it is worth contributing up to the maximum to build your retirement savings. It takes an estimated 45 days for the Retirement Accounts Division to notify TSP of your retirement. Send questions about notification to payhelp@state.gov. After retirement, you can choose to leave your savings in TSP or move them to an IRA or an eligible employer plan. You can withdraw your savings in full or in part. If you choose a partial withdrawal, you can opt for single or monthly payments. You can also purchase an annuity based on your life expectancy, but be cautious: Once purchased, you cannot change the terms. You should learn the penalties and tax consequences of making withdrawals after you retire. Be careful of the ten-percent tax penalty for withdrawals made before you reach the age of 59 ½. If you took out a loan from TSP and did not repay it before you retired, the unpaid balance of the loan could be considered a withdrawal and subject to income tax. Be sure to keep your TSP designation of beneficiary forms up to date. If you do not designate a beneficiary, TSP will distribute your savings according to the statutory order of precedence: spouse, children, parent, executor, next-of-kin. For more details go to the TSP website at http://www.tsp.gov/. What do I need to know about health insurance ? Federal Employees Health Benefit (FEHB) program is an important benefit that you can keep after retirement. There are several factors you must keep in mind to continue your FEHB coverage into retirement. The first is that you must be continuously enrolled in the Federal Employees Health Benefits (FEHB) program for at least five years immediately prior to retirement in order to continue your enrollment. There are very limited exceptions to this rule. You must also qualify for an immediate annuity. That means that you will start receiving your annuity as soon as you retire, that you do not plan to defer the start of your annuity until some future date. If you do not meet the FEHB requirements, you may be eligible for Temporary Continuation of Coverage (TCC) at retirement, but it is more expensive and it is temporary. Another important consideration is health insurance for your spouse. Your spouse must be eligible to receive a survivor annuity to continue in the FEHB program after your death. Your annuity will be reduced to provide a survivor annuity for your spouse. If unable to meet the FEHB requirements, your spouse may be eligible for TCC, but again, it will be more expensive. What about survivor annuities? When you retire you can make your spouse eligible for an Foreign Service Pension System (FSPS) survivor annuity equal to 50 percent, 25 percent or none of your annuity. The maximum for an Foreign Service Retirement and Disability System (FSRDS) annuity is 55 percent and the minimum only one dollar. However, if you choose less than 50 percent your spouse will have to sign a notarized waiver. Your FSPS annuity will be reduced ten percent for a 50 percent survivor annuity and five percent for a 25 percent survivor annuity. The formula is slightly different for those who retire under FSRDS. You can designate a beneficiary other than your spouse, but the cost depends on your age difference. If you drop your FEHB coverage after retirement, you cannot reenroll. If your spouse discontinues coverage after your death, your spouse will not be able to reenroll. You may send general questions on FEHB and TCC to hrsc@state.gov. There is detailed information on the Federal Employees Health Benefits program on the website of the Office of Personnel Management, http://www.opm.gov/ and on the website of the Office of Retirement, https://rnet.state.gov . See AskRNet for answers to FAQs. There is also an e-seminar available on EBIS on the Department's intranet site. For information on dental and vision insurance go to http://www.benefeds.com/ . For information on long-term care insurance see http://www.ltcfeds.com/ . The recent survey of participants in the FSI Retirement Planning course and Job Search Seminar revealed lack of understanding about the Federal Employees Group Life Insurance (FEGLI) program. Your enrollment in FEGLI program is automatic when you become employed, unless you decline. The basic insurance amount is one year's salary rounded up to the nearest thousand, plus $2,000, but some employees pay higher premiums for additional coverage. If you make no choice your coverage will automatically reduce by 75%. In that case, the amount of basic coverage will start to reduce monthly at a rate of 2% until 25% of the amount you had when you retired is reached. Once the reduction starts, your basic coverage is free. If instead you choose the 50% reduction, your coverage will reduce at a rate of 1% per month until the level of 50% is reached, but you must continue to pay extra premiums. If you choose no reduction, you will pay increasingly higher extra premiums as you age. You can choose full or no reduction for optional life insurance plans in which you may be enrolled in addition to basic life insurance. You do not have to wait for open season to make changes to your life insurance. You can reduce or cancel coverage at any time after you retire, but you cannot increase your life insurance. There is more information on life insurance on the website of the Office of Personnel Management, http://www.opm.gov/ and on https://rnet.state.gov/, the website of the Office of Retirement. There is also an e-seminar available on EBIS on the Department of State intranet site. Send general questions about life insurance to hrsc@state.gov. What effect does my divorce have on my annuity, on survivor annuities, and on Federal Employees Health Benefits ? If you're unsure about how a divorce will affect your benefits in retirement, you're not alone. Nearly half of married respondents to a survey conducted by the Office of Retirement indicated that they did not know how their benefits would be affected by divorce. There are Federal laws governing the division of annuities for Foreign Service retirees. Alternatively, divorce decrees and property settlements can govern the division of retirement benefits between former spouses. For a divorced spouse to qualify for a portion of a Foreign Service annuity, the marriage must have lasted at least ten years during a period of creditable service (at least five years of which must have been when the employee was in the Foreign Service) and the spouse must NOT have remarried before the age of 55. If all three conditions are met, a divorced spouse is entitled to a pro-rata share of the retire's annuity. The same formula applies to survivor annuities. Your former spouse may be entitled to a portion of your survivor annuity based on the number of years of marriage while you were in the Foreign Service. To remain eligible, your former spouse cannot remarry before the age of 55. Your spouse, or former spouse, must be eligible for a survivor annuity in order to continue to be enrolled in the Federal Employees Health Benefits (FEHB) program. If not eligible for FEHB coverage, your spouse or former spouse may be able to purchase Temporary Continuity Coverage (TCC). For more details, submit a copy of your divorce decree and property settlement to the Office of Retirement well in advance of retirement. The answers to many general questions are available using AskRNet on https://rnet.state.gov . Send questions on your specific situation to RETServices@state.gov. What do I need to know about Social Security and Medicare ? You can apply for Social Security benefits starting at age 62 or at your full retirement age or wait until you reach age 70 if you have worked long enough to qualify. If you start receiving Social Security benefits at age 62, there is an earnings test that applies until you reach your full retirement age, i.e. 65 to 67 depending on the year of your birth. The earnings test means your benefits would be reduced one dollar for every two dollars you earn up to a certain limit. For example, if you earned more than $14,460 in 2012 you would not be eligible to receive Social Security benefits in 2013. The same earnings test applies to your eligibility to receive the FSPS annuity supplement between your minimum retirement age and age 62. If you wait to start receiving monthly benefits, the amount increases approximately eight percent per year until you reach age 70. However, you have to weigh that higher monthly benefit in the future against the amount of foregone benefits in the short term. Your benefits will affect your spouse's benefits if they are based on your employment history. Consult http://www.socialsecurity.gov/ for details. FSRDS retirees may also qualify for Social Security benefits based on credits earned when not covered by FSRDS. There is a substantial reduction known as the Windfall Elimination Provision (WEP) if you have a federal government pension. There is information on the WEP in Answers to Frequently Asked Questions in AskRNet on https://rnet.state.gov/ and on the Social Security website. It is a very personal decision whether to enroll in Medicare, Part B, when you become eligible at age 65. Many Foreign Service retirees continue to participate in the Federal Employees Health Benefits (FEHB) program, even after they enroll in Medicare. FEHB insurance fills an important gap in Medicare coverage. Most retirees are reluctant to discontinue their enrollment in FEHB because you cannot change your mind and reenroll later. You are not required to enroll in Medicare, but if you do not do so when you become eligible the premiums will increase by ten percent each year. Premiums are based on income, and some Foreign Service retirees pay higher premiums because they are fortunate enough to be considered "high-income individuals". Premiums may increase in the future depending on changes to the laws governing the FEHB program. For more information on Medicare go to http://www.medicare.gov/. What about income taxes? How do I declare my retirement income ? Your Foreign Service annuity, including the annuity supplement, is subject to Federal income tax. Most states tax annuities, but some do not. (See the tax guide produced by the American Foreign Service Association at http://www.afsa.org). The lump-sum payment you receive for unused annual leave is taxable as income. It will be included with your salary in your W-2. You can exclude from taxation your contributions to your annuity. The Retirement Accounts Division recently started including this amount on your 1099-R so it is much easier to track. Those who retired before 2012 can also deduct the tax-free portion of their annuities, but they must do the computation manually. There is a calculator on the IRS website (http://www.irs.gov/) if you wish to estimate the amount yourself. You must enter the total amount of your contributions. That information will be provided by the Retirement Accounts Division by the end of January in the year following your retirement. You must also enter your date of birth and, if you have a survivor annuity, your spouse's date of birth. The result is the amount you can exclude for each month you receive an annuity payment. Once you are retired for a full year, the annual amount of the exclusion does not change. You can continue to exclude your contributions until the full amount has been reached. If you have questions about your contributions, contact the Retirement Accounts Division at payhelp@state.gov. For tax questions, check the IRS website. 9. What about if I continue to work for the government after I retire from the Foreign Service ? In addition to ethical considerations, there are limitations on federal employment, either full-time or part-time, for annuitants. If you accept a full-time job, your annuity may be suspended. However, your annuity will continue to increase with cost-of-living adjustments. When your appointment ends, your annuity will resume at the higher level. You are responsible for reporting your employment to the Retirement Accounts Division at payhelp@state.gov. It is possible for annuitants to be reemployed on a part-time, intermittent basis subject to certain limitations. You cannot work more than 1,040 hours per appointment year on a When Actually Employed (WAE) basis to be considered part-time. An appointment year runs from the date of your appointment for twelve months. If you exceed 1,040 hours you cannot be reemployed. Reemployed annuitants are also subject to a limitation - a ceiling - on the amount they can earn. The ceiling is the higher of your salary at retirement or the salary of your position. You cannot earn more than the difference between your salary and this ceiling during the calendar year. The amount you can earn gradually diminishes as your annuity and/or the hourly rate for your position are increased by annual cost of living adjustments. Again, you are responsible for reporting your employment to the Retirement Accounts Division so they can audit your earnings. If you exceed the salary-annuity cap, your annuity can be suspended. You will be asked to refund any excess earnings to your employing agency. Contact payhelp@state.gov to request an audit. If you are employed on a personal services contract you are not subject to either the limit on hours or earnings. In 2013, the Bureau of Human Resources created an option that allows retirees to express interest in working as a reemployed annuitant within the Global Employment Management System (GEMS) Self Service pages. The GEMS Self Service pages are available in the HR Portal of iNet. Look for Employee Information under the Employee Self Service tab. Scroll down to the section titled: Reemployed Annuitant Global Registry. If you do not have access to the system but are interested, please contact HRSC at 1-866-300-7419, hrsc@state.gov, or Reemployed Annuitant Bureau (REA/WAE) Coordinator. Registering is not a guarantee of employment but is offered to enable you to share your potential availability. What steps should I take to protect my family after my demise ? First and foremost, you should make sure your designation-of -beneficiary forms are up to date. There are three forms: Thrift Savings Program (TSP), life insurance, and unpaid earnings. The last designation can be more important than you realize if you have accumulated a substantial amount of unused annual leave. When you were first employed, you may have listed your parents as beneficiaries, but how has your family changed since then? Check your e-OPF on the Department's intranet site under HR Online, to see if your forms are up to date. Check with TSP, too. Submit any changes to the HR Service Center at hrsc@state.gov. Update your will, power of attorney and other estate-planning documents. You can learn more in the Foreign Service Institute course on retirement planning. Meanwhile, take a look at the e-seminar on EBIS on HR Online. Your heirs will be grateful not to have to go through an extended legal procedure to settle your estate. What about survivor benefits? When you retire you can make your spouse eligible for an Foreign Service Pension System (FSPS) survivor annuity equal to 50 percent, 25 percent or none of your annuity. The maximum for an Foreign Service Retirement and Disability System (FSRDS) annuity is 55 percent and the minimum only one dollar. However, if you choose less than 50 percent your spouse will have to sign a notarized waiver. Your FSRDS annuity will be reduced 2.5% for the first $3,600 monthly survivor annuity plus 10% of any additional amount up to a total reduction of 10 percent for the maximum survivor annuity. Your FSPS annuity will be reduced ten percent for a 50 percent survivor annuity and five percent for a 25 percent survivor annuity. The formula is slightly different for those who retire under FSRDS. You can designate a beneficiary other than your spouse, but the cost depends on your age difference. Your FSPS annuity will be reduced 10% for the maximum survivor annuity or 5% for a 25% survivor annuity. Remember that your spouse must be eligible for a survivor annuity in order to continue to participate in the Federal Employees Health Benefits program. Otherwise, your spouse may be eligible for Temporary Continuation of Coverage (TCC) that is more expensive and temporary. If you are divorced and if your former spouse is entitled to a pro-rata share of your survivor annuity, the amount your current spouse may be able to claim is reduced, possibly to nothing. The pro-rata share is calculated by multiplying a factor times the amount of a survivor annuity. The numerator of the factor is the number of years and months of marriage during creditable service and the denominator is your total creditable service. It may still be important to designate your current spouse as a contingent beneficiary in order to be eligible to participate in FEHB. See https://rnet.state.gov for more detailed information. You can send questions about your situation to RETServices@state.gov. The Office of Retirement's internet site providing comprehensive Foreign Service retirement system information, annuitant forms and a searchable database of frequently asked questions. A way for older Americans and caregivers to find help. Established as a public service by the Administration on Aging. Articles and comprehensive lists of facilities and providers serving older residents in the Washington, DC Metro area; the Delaware Valley (Philadelphia and surrounding PA, NJ and DE) and the state of Maryland. Everything you want to know about the Village Concept, a national movement to help people who want to age in place. Nationwide guide to senior housing and services. Descriptions of affordable housing communities for older adults and persons with disabilities.